A roof should be able to withstand extreme weather, including torrential rain, snowstorms, high winds, and extreme temperatures. Aging shingles are more susceptible to wind-driven rain and may make your roof vulnerable to leaks. Extreme rainfall will almost surely leave a mark on your home if you have an old roof. Look for discoloration, water damage, and moisture-related problems in your home, all of which are signs of roof leaks. A residential roofing system is designed to deflect heat and ultraviolet rays. If your shingles are at the end of their lifespan, their ability to reflect heat away from your home will be compromised. This may result in your home heating up uncomfortably on hot summer days. An old roof makes for a poor insulator. To compensate, your HVAC system will have to work overtime to maintain a comfortable interior, causing your energy bills to go up. Never ignore problems with your asphalt shingles. At the first sign of damage, you should contact your reliable roofing contractor to conduct an inspection and provide the necessary solution. 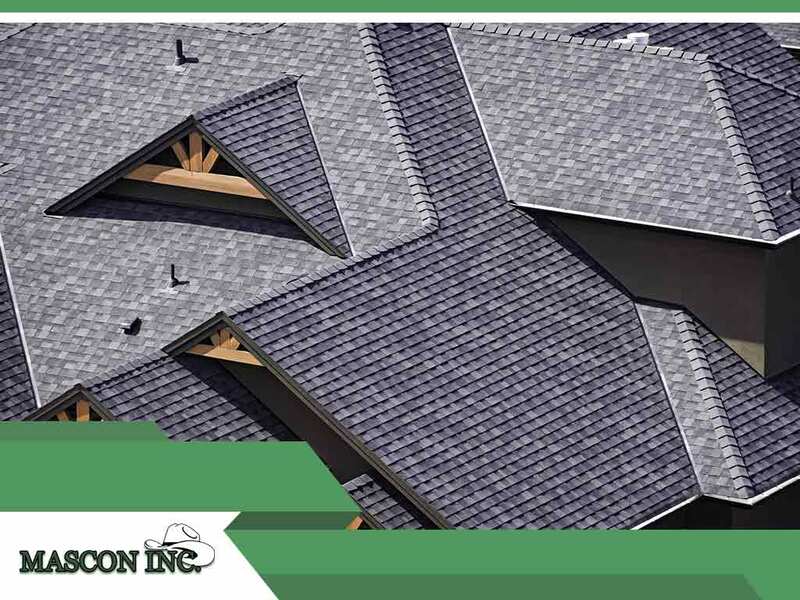 At Mascon, Inc., we are committed to providing quality, worry-free roofing systems for our customers. Call us at (512) 376-5096 for more information or fill out our contact form to get a free roof evaluation. We serve homeowners in Austin, TX, and surrounding areas.